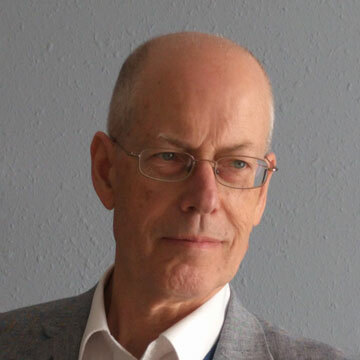 Mark Harrison's blog discusses economics, public policy, and international affairs. Smile a lot and remain calm. The Times Higher Education, 11 May 2017. China's chief advantage: regionally decentralized authoritarianism (in Russian). My work reported on Tolkovatel', 5 May 2017. Economists hit back at crisis claims. Quoted by Chris Giles in the Financial Times, 7 January 2017. The Stalinist economic system: Lecture at the Free University Berlin, 22 November 2016. Why the battle of the Somme marks a turning point of World War I. The Conversation, 29 June, 2016. The terrorist's apprentice. Hoover Digest (2015), no. 4, pp. 40-45. Sanctions aren't working. Hoover Digest (2015), no. 3, pp. 146-151. Why sanctions are no alternative to defence. Financial Times, 19 February 2015. Borders of violence: Can there be a third world war? (In Russian) on the RBC-TV website, 8 May 2015. Myths of the Great War. Hoover Digest (2015), no. 1, pp. 145-150. What the secret policemen saw. Interviewed by Paul Brennan for Radio New Zealand Nights, 20 October 2014. Sound clip (44'30"). Interviewed by Howard Mustoe for World War One: Industrial innovation and suspicion on the BBC News website, 29 August 2014. Was Europe really ready for World War I? The Conversation, 8 August 2014. The military power, economics and strategy that led to D-Day. The Conversation, 6 June 2014. Hoover fellow Mark Harrison discusses the secret police on the Hoover Institution website, 24 July 2014. Four myths about the Great War of 1914-1918. VOX, 3 June 2014. Myths of the Great War. The Royal Economic Society Newsletter no. 165, April 2014. In a free society the purpose of mass surveillance should be to protect the way we live. British Politics and Policy, 16 April 2014. Four things we get wrong about World War I. The Conversation, 2 April 2014. Costing Secrecy. VOX, 15 January 2014. What is the True Mission of the NSA in a Free Society? DNA India, 3 January 2014. Soaring Dragon, Stumbling Bear: Why has China Succeeded Where Russia Failed? In Britain in 2014 (published by the ESRC), December 2013. Also on the ESRC website. Watching the Detectives. The Hoover Digest (2013), no. 4. What Do Secret Policemen Really Do? Lecture in the ESRC Festival of Social Sciences, 7 November 2013 at the University of Warwick. Who's a Marxist Now? Pieria, 14 October 2013. History suggests intervention in Syria will be bad for business. The Conversation, 29 August 2013. Needles in the Mega-Haystack: NSA versus KGB. Pieria, 13 June 2013. Misplaced Trust. The Hoover Digest (2013), no. 2. An Economic Perspective on Suicide Terrorism. Postnauka.ru, April 25, 2013 (video, 9 minutes in English, Russian summary). Also on Youtube, June 4, 2013. Stumbling Bear, Soaring Dragon: Could the Soviet Union Have Taken China's Road? Lecture in the series "Russia's Economic History in the Twentieth Century" sponsored by the Gaidar Foundation at the Polytechnic Museum, Moscow, April 17, 2013 (video 1:53, mostly in English; slides and transcript in Russian). Is There a Future for the British High Street? (with Scott Dacko and Michael Waterson). Warwick's Knowledge Centre, February 4, 2013. The Cost of Keeping Secrets. Warwick's Knowledge Centre, January 7, 2013. Interviewed on whether the BBC should delete Jimmy Savile's guest appearance on Desert Island Discs on the Today Programme, BBC Radio 4, November 23, 2012. Fertile Ground for Extremism. The Hoover Digest (2012), no. 4. The China Deal. Warwick's Knowledge Centre, September 24, 2012. Local pay deals. Letter (shot 1, shot 2) to The Times, September 19, 2012. A Bad Bargain, published in The Spectator and quoted in The Guardian. Passing the Parcel: Who will end up holding Europe's democratic deficit? 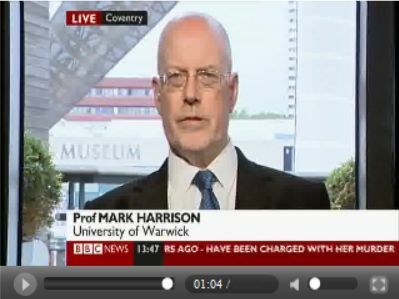 On Warwick's Knowledge Centre, June 29, 2012. Greece: Can't Pay, Won't Pay? Warwick's Knowledge Centre, June 12, 2012. De Grieken betalen toch niet, tenzij het land wordt bezet [The Greeks didn't pay unless the country was occupied]. NRC Handelsblad, June 2, 2012. Wishful Thinking Isn't Economic Analysis. The Hoover Digest (2012), no. 2. The Dam Busters: Their Place in (Economic) History on Warwick's Knowledge Centre, 14 May 2012. Russia’s national income in war and revolution, 1913 to 1928 (with Andrei Markevich). VOX, 11 May 2012. Chronicle of a Russian Catastrophe. My co-author Andrei Markevich, interviewed by Aleksandr Ivanter in Ekspert (2012) no. 14 (797), April 9, 2012. Interviewed at the Russian National Prize for Applied Economics award ceremony, April 5, 2012; podcast of the award ceremony, honorary lecture by Andrei Markevich, and Q&A. Puzzling Violence. The Hoover Digest (2012), no. 1. How Christopher Hitchens and I Became Friends. Warwick's Knowledge Centre, January 16, 2012. Surely You're Joking Mr Keynes? Royal Economic Society Newsletter no. 155 (October 2011), pp. 12-15. Appendix and data. The Right Kind Of Feudalism on Warwick's Knowledge Centre, October 14, 2011. Government must abolish 50p tax rate to grow the economy. Letter to the FT, September 7, 2011; reported on the BBC (and interviewed on BBC TV News 24: screen shot); The 50p tax Sends the Wrong Message to Entrepreneurs, in the Huffington Post, September 8, 2011; Britain's 50p Tax Rate: The Evidence Against on Warwick's Knowledge Centre, September 14, 2011; Why You Want the Rich to Spend (I don't, but I guess the sub-editor thought that might help) in the New York Times Room for Debate, October 5, 2011. Wars steadily increase for over a century, University of Warwick press office, June 28, 2011; reported in the Daily Mail, June 29, 2011, and the Coventry Telegraph, July 5, 2011. The Frequency of War, on The Academic Minute (WAMC Northeast Public Radio), August 31, 2011. Sound clip. Le plus grand déménagement de l'histoire. Interviewed (with Nikolai Simonov), Guerres et histoire, no. 2 (2011), p. 51. Where Russia is heading. The Hoover Digest (2011), no. 2. The frequency of wars. Interviewed by Amy McLeod, 16 March 2011. Warwick Knowledge Centre. Dollar's future as global currency? Impact of coalition's plans to eliminate deficit? Mark Harrison answers your Q's, 1 March, 2011. Warwick Knowledge Centre. Measures of our distance from totalitarianism. 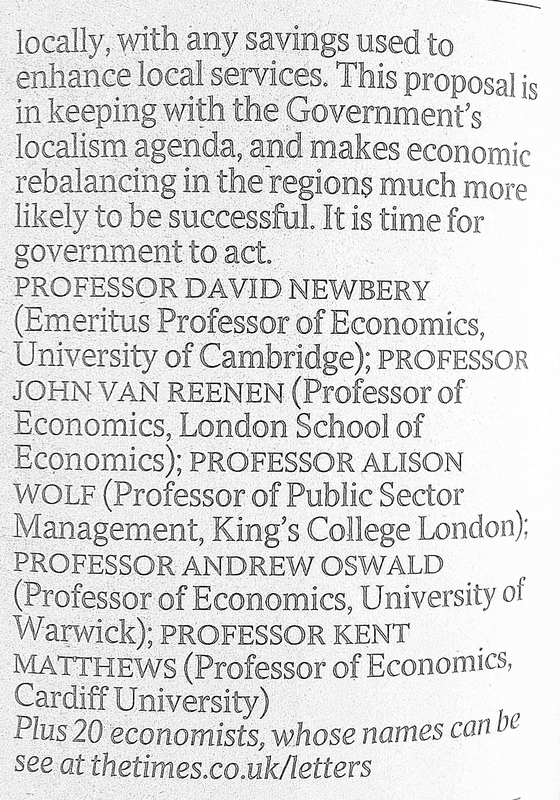 Letter to the FT, 15 February, 2011. The copycat problem. The Warwick ERI Bulletin, 2010/11, no. 2. You have Been Warned. The Hoover Digest (2011), no. 1. Interviewed on The Deserving and the Undeserving Poor by Chris Bowlby on BBC Radio 4, Monday, 15 November 2010. Sound clip 1. Sound clip 2. Interviewed on the future of the welfare state by Annie Othen on BBC CWR Radio, Thursday, 21 October 2010. Interviewed, to mark the occasion of the last repayment of Germany's to the Allies under the Treaty of Versailles on October 3, 2010, in Why has Germany taken so long to pay off its WWI debt? By Olivia Lang, for the BBC, October 2, 2010. Course of given cost should be repaid same sums. Letter to the FT, September 10, 2010. Allow me to write Sir Samuel's speech. Letter to the FT, August 17, 2010. Secret Justice is No Justice. The Hoover Digest (2010), no. 1. 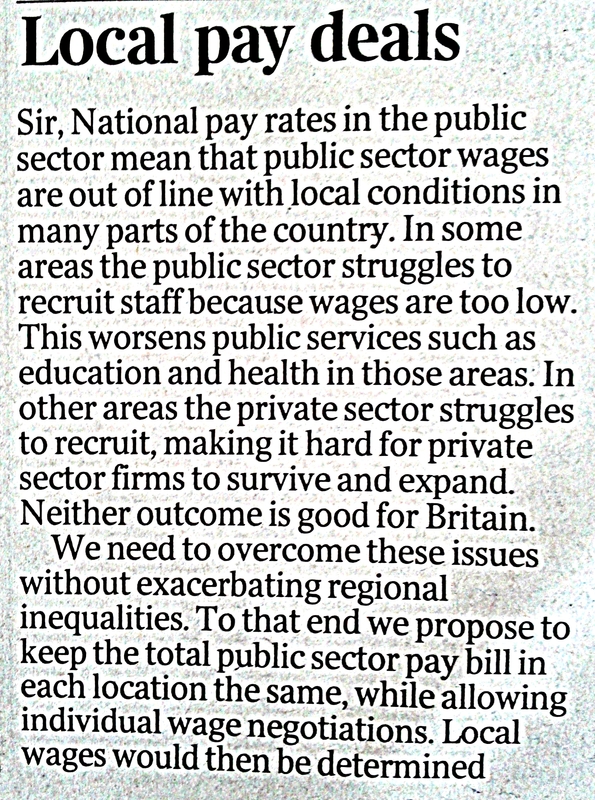 We must keep a sense of proportion about our present economic position ... Letter on The Evening Standard Message Board, Friday, 27 March 2009. Credibility Crunch: A Comment on The Shock Doctrine. University of Warwick, Department of Economics. This version: 24 March 2009; see also Naomi Klein, Milton Friedman, and Me. Answers to Bail-Out Questions. Coventry Telegraph, 5 March 2009. Coventry City Council's £9m Budget Cuts Criticised. Coventry Telegraph, 24 February 2009. A No-Longer Useful Lie. The Hoover Digest (2009), no. 1. Recession Arrives and the Signs Don't Inspire Confidence. Interviewed by Tom Scotney in The Birmingham Post, 23 October 2008.
Credit Crunch Sees Rise in Business School Uptake. Interviewed by Tom Scotney in The Birmingham Post, 22 September 2008. Economy Could Benefit from Lehman Collapse, Says Midland Academic (Oh, sure. I blame the sub-editor). Interviewed by Tom Scotney in The Birmingham Post, 15 September 2008. Mark Harrison's Survival Guide for Department Chairs. 31 July 2008. Published in Appendix 6 to Socrates in the Boardroom: Why Research Universities Should Be Lead By Top Scholars, pp. 167-168, by Amanda H. Goodall (Princeton: Princeton University Press, 2009). Stephen Nickell: The University of Warwick gave Nickell an honorary degree at the graduation ceremony held on 17 July 2008. The citation was written by Mark Harrison with the help of Nick Crafts, Marcus Miller, and Mark Stewart. Avinash Dixit: The University of Warwick gave Dixit an honorary degree at the graduation ceremony held on July 19, 2007. The citation was written by Mark Harrison with the help of Peter Hammond, Norman Ireland, Marcus Miller, and Michael Waterson. Interviewed, to mark the occasion of the last repayment of Britain's war debt to the United States on 29 December 2006, in U.K. Makes Final Payment to U.S. for Post-WWII Reconstruction. By Bryan Mitchell, for Stars and Stripes, 10 January 2007; BBC Radio 4 News (mp3); World Service; Radio CWR (mp3); Radio WM (mp3); and Radio France, 29 December 2006; The World Tonight (mp3). By Jonty Bloom, for BBC Radio 4, 7 December 2006; What's a Little Debt Between Friends. By Finlo Rohrer, for BBC News Magazine, 10 May 2006. Sir Nicholas Stern: The University of Warwick gave Stern an honorary degree at the graduation ceremony held on July 10, 2006. The citation was written by Mark Harrison with the help of Alan Roe. QR and Metrics. With Michael Waterson. University of Warwick, Department of Economics. This version: 30 June 2006. The Logic of Suicide Terrorism. Royal United Services Institute Security Monitor, Vol. 2:1 (2003), pp. 11-13. Press comment: The Guardian 29 April 2003; Jewish Telegraph Agency 8 May 2003; The Jerusalem Post 9 May 2003; The Guardian 17 January 2004. SARS: What the Figures Say. University of Warwick, Department of Economics. This version: 2 May 2003. How May Economic Factors Influence War? Notes for Interview with Arif Stefanou of the BBC World Service, 1 December 2002. University of Warwick, Department of Economics. This version: 2 December 2002. What Afghanistan Needs is the Right Kind of Feudalism. University of Warwick, Centre for the Study of Globalisation and Regionalisation. This version: 9 January 2002. First draft: 4 December 2001. Lives Lost and Lives Saved in the War Against Terrorism. University of Warwick, Department of Economics. This version: 2 January 2002. The Utility of Torture in the War Against Terrorism. University of Warwick, Department of Economics. This version: 12 November 2001. The War Against Terrorism: Type I Versus Type II Errors. University of Warwick, Department of Economics. This version: 1 November 2001. What Price Teaching Quality? With Ben Lockwood. Royal Economic Society Newsletter, No. 113 (2001), pp. 3-5. My Economic History: From Revolutions to Routines. In Living Economic and Social History, pp. 116-19. Edited by Pat Hudson. Glasgow: Economic History Society, 2001. Trial by Ordeal. With Ben Lockwood, Marcus Miller, Andrew Oswald, Mark Stewart, and Ian Walker. The Guardian, Education Supplement, 30 January 2001. This article "captured the mood of the time and helped to sway political opinion" according to Donald MacLeod in The Guardian, Education Supplement, 25 January 2005. Pop Mercantilism? Staff and Student Attitudes in Economics at Warwick. University of Warwick, Department of Economics. This version: 21 November 2000. Why has Serbia not Collapsed Under NATO Bombing? Lessons from History and Economics. University of Warwick, Department of Economics. This version April 1999. Postscript: September 1999. Russia's Third Way. University of Warwick, Centre for the Study of Globalisation and Regionalisation. This version: September 1998. Russia 1992: the Making of a Catastrophe. Planet: The Welsh Internationalist 92, April-May (1992), pp. 10-15. Ob ekonomicheskom roste do revoliutsii i posle nee [On economic growth before and after the revolution]. Kommunist no. 9 (1991), pp. 118-20. Global Warming and the Economy: When Green Turns to Grey. Arguments and Facts International 1:5/6 (1990), pp. 4-5. Making Soviet Markets Work. Pravda International 3:2 (1989), pp. 18-19. The Second Bombing of Coventry. 12pp. Coventry Campaign for Nuclear Disarmament (1980). The Economics of Capitalism (scanned original, 30Mb). 41pp. Communist Party Education Department (1976). Searchable version (4Mb).